Just moments ago at our Disney Parks Blog Star Wars Celebration, speakers from Entertainment and Merchandise highlighted several new Star Wars-inspired additions that have recently – or will soon – make their way to Disney’s Hollywood Studios. First, AWR Troopers from the film Rogue One: A Star Wars Story will debut at Disney’s Hollywood Studios very soon. AWR (Advanced Weapons Research) Troopers are encased in specialized Stormtrooper armor with a dark, ominous gleam. They are the bodyguards and enforcers of Director Krennic, who holds a high status in the AWR division of the Empire. Guests will soon have a chance to spot these AWR Troopers in a new scene in the existing “Star Wars: A Galaxy Far, Far Away” daytime show at Disney’s Hollywood Studios. 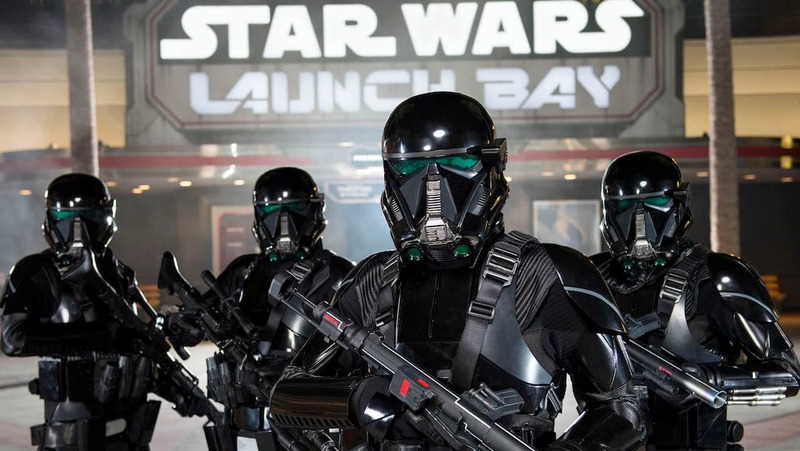 The park’s Star Wars Launch Bay will soon be updated with new props from Rogue One: A Star Wars Story, including items such as a Shoretrooper Blaster, Director Krennic’s Imperial Shuttle, a Death Star model, a U-wing gunship and more. Making-of footage will also be added to the the behind-the-scenes film in Launch Bay Theater. Similar updates can also be found at Star Wars Launch Bay in Disneyland park in California. 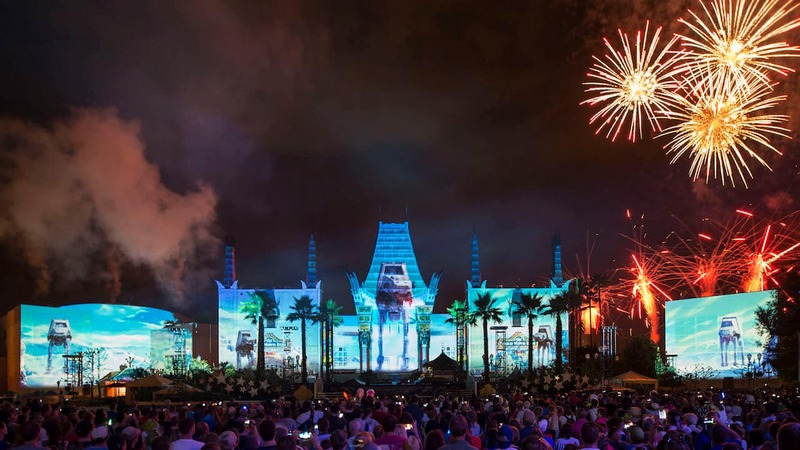 It was also announced that the fan favorite nighttime show, “Star Wars: A Galactic Spectacular,” will return to Disney’s Hollywood Studios on December 16 and will join “Jingle Bell, Jingle BAM!” as a second nightly fireworks spectacular at the park through December 31. Please check the park entertainment schedule for showtimes during your visit. 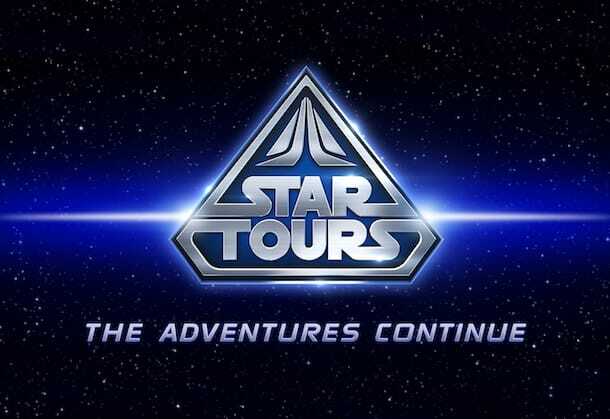 Walt Disney Entertainment shared that voyage changes are coming to Star Tours – The Adventures Continue starting in mid-December. The attraction will soon switch back to offer randomized beginnings (instead of starting each journey on the planet of Jakku) and final destinations. Looking ahead to 2017, the popular Star Wars: A Galactic Spectacular Dessert Party will return. This offering includes Star Wars-themed cupcakes, cookies, brownies and a selection of savory snacks including cheese and flatbread and dip (as well as alcoholic and non-alcoholic beverages). The night ends with special VIP viewing for the night’s “Star Wars: A Galactic Spectacular.” (More on how to book this experience here). 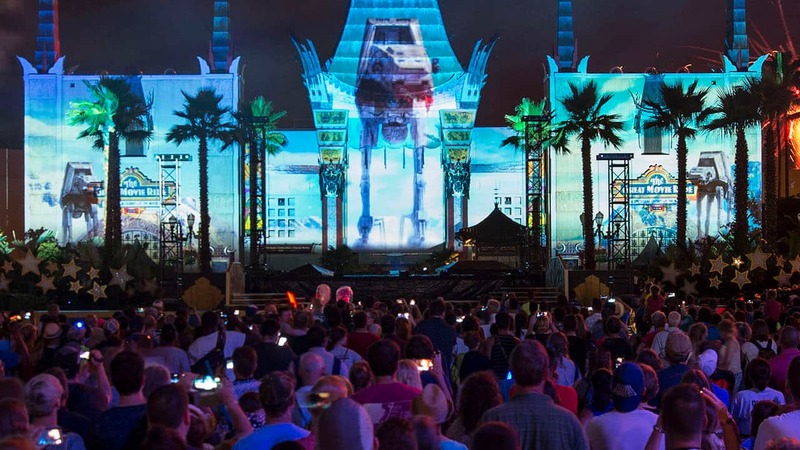 A new Star Wars Guided Tour is also in the works for the ultimate Star Wars fan visiting Disney’s Hollywood Studios. This seven-hour guided tour will be led by a Star Wars “all-in-the-know” tour guide that will include: a journey on Star Tours – The Adventures Continue; an opportunity to participate in Jedi Training: Trials of the Temple (for guests age 4-12); a guided exploration of Star Wars Launch Bay, dinner at a quick-service restaurant featuring Star Wars-themed items; the Star Wars: A Galactic Spectacular Dessert Party; fireworks viewing and more. Stay tuned to the Disney Parks Blog for more information on this tour and booking information. Stay tuned to the Disney Parks Blog for more updates in the coming weeks on these exciting additions. Where’s all the Star Wars love for Disneyland Resort???!!!! I mean come on!! I even bought the Star Wars Limited Edition Nissan Rogue One edition SV!! Come on!!!! Help me Disney Imageneers, you’re my only hope!! More Star Wars please!! 🙂 I like the new AWR Troopers! I’m going in January with several Star Wars lovers. Will the dessert party be back by then? I check for it daily! Going down in January with several Star Wars fans. Will the Galactic Spectacular Dessert Party be back? I check on it daily! Any idea when Star Wars: A Galactic Spectacular will return in 2017? I’m going the 16th of January and I’m desperate to see it.